Vaping/E-Cigs is not considered smoking. So they Say? These are used by adult smokers to replace a nicotine habit. There is a risk involved with this process just like regular cigarettes. Vaping includes a base liquid which contains Propylene Glycerin or Vegetable Glycol, this mixture has nicotine and food flavoring. This is vaporized by a powered battery operated atomizer. Vaping gives you an effect of smoking. This creates the feeling of smoking without the cigarettes. Vaping and electronic cigarettes are not designed to be 100% safe. They claim this system brings less nicotine to your body. It really depends on the amount of nicotine within the device. Also how many times you use it. 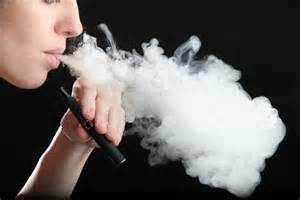 So, actually if you vapor you are still smoking because you are picking up a new type smoking. When you vapor your mind is thinking it's safe so you end up vaping more. You will find that your smoking habit doesn't lessen by allowing yourself to vapor/smoke you actually replace your habit to another type of addiction. When people switch some feel they need to hide this from their families and friends. Since vaping is not considered smoking so using it in the car, house and other places is guilt free. Studies show even thou vaping is considered low in nicotine should be less harmful. The reality is vaping is more the similar to smoking it is smoking. If you smoke one cigarette less a day then you will have less nicotine. If you smoke no matter the device it's considered changing habits/patterns and the old habit is still there you are just switching the tools you use. If you are needing helping with quiting all of your Vaping/Smoking needs feel free to contact me.